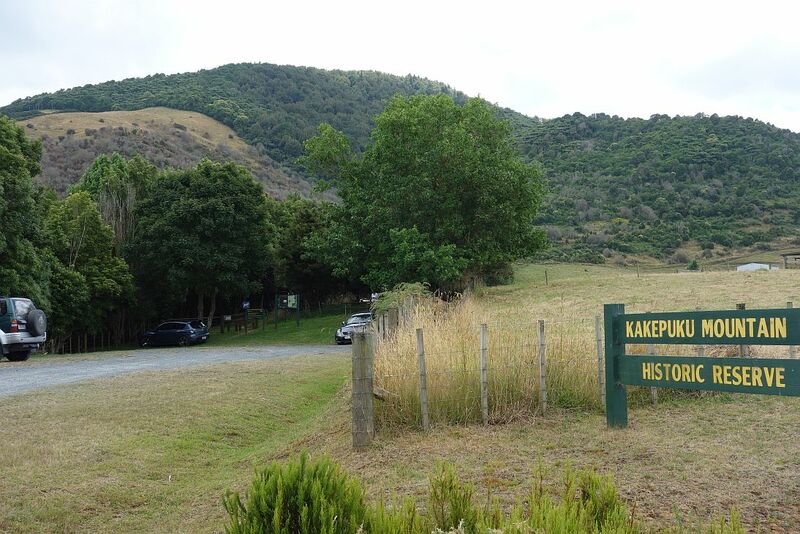 Kakepuku is the sacred mountain of the Iwi, hapu and whanau of Ngati Maniapoto. 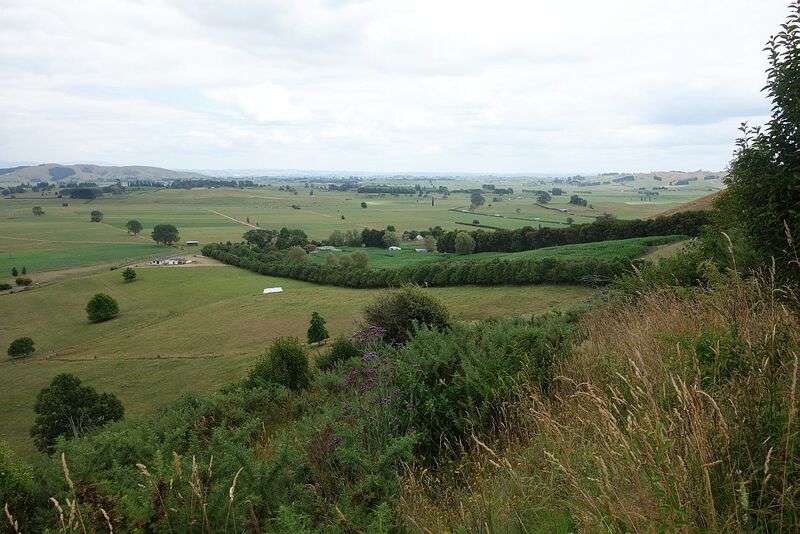 It is situated about 10km south-west of Te Awamutu. The track to the summit of the mountain is accessible from Kakepuku Rd, where there is a parking area, with toilet facilites nearby. The track to the summit is maintained by DoC, and there is a short description of the track at on the DoC web site. 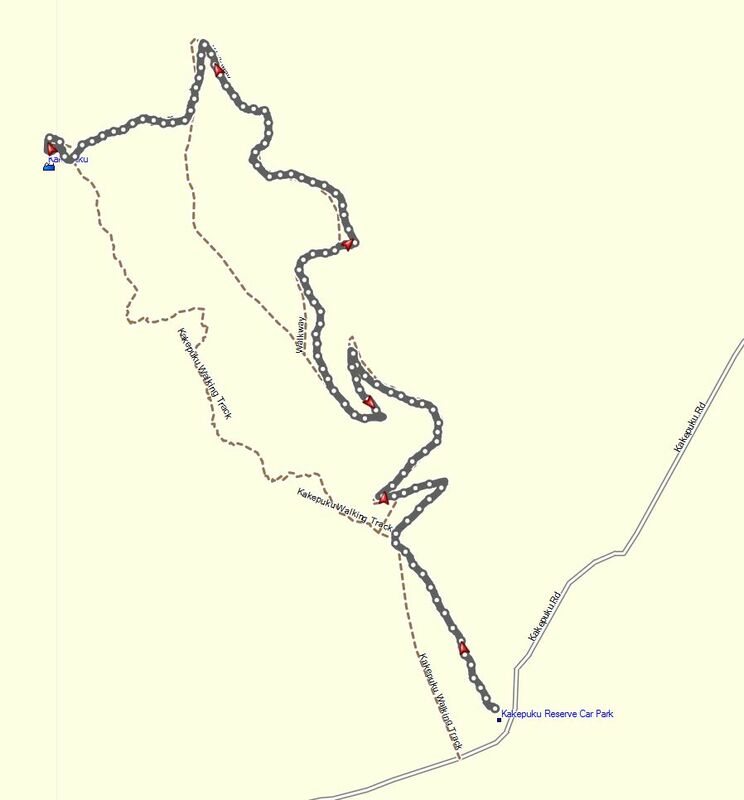 The total distance from the carpark and back is about 7.5 km, and there is a total climb of about 400m, starting about 50 m asl, and with the summit at 449 m.
The track has recently been changed, so the ones shown on current topographic maps are not correct. Mountain bikes are allowed on the lower part of the track, but not on the last climb to the summit. 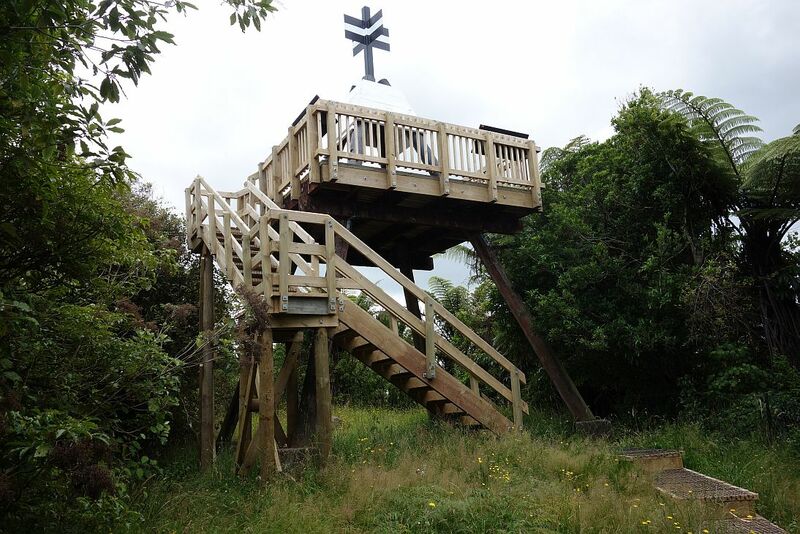 A lookout tower on the summit is quite new, but already vegetation is restricting some views from the tower. On a clear day the mountains south of Lake Taupo should be visible, but unfortunately it was quite hazy on the summer day when the climb was done. So there will be another climb coming up when the visibility is better. The total time for the walk to the summit was about 1 hour, and the return about 50 minutes. 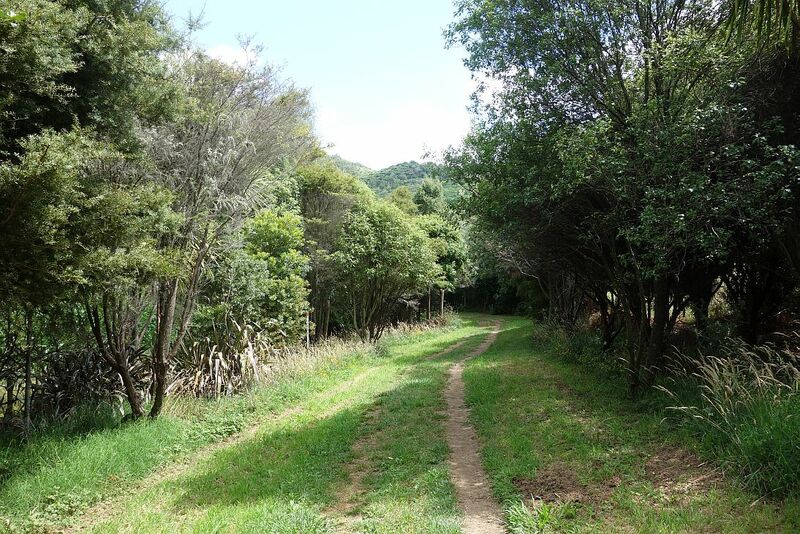 The first part of the track is a disused farm track, but is well maintained and mowed. The last part has a large number of steps, also well maintained. 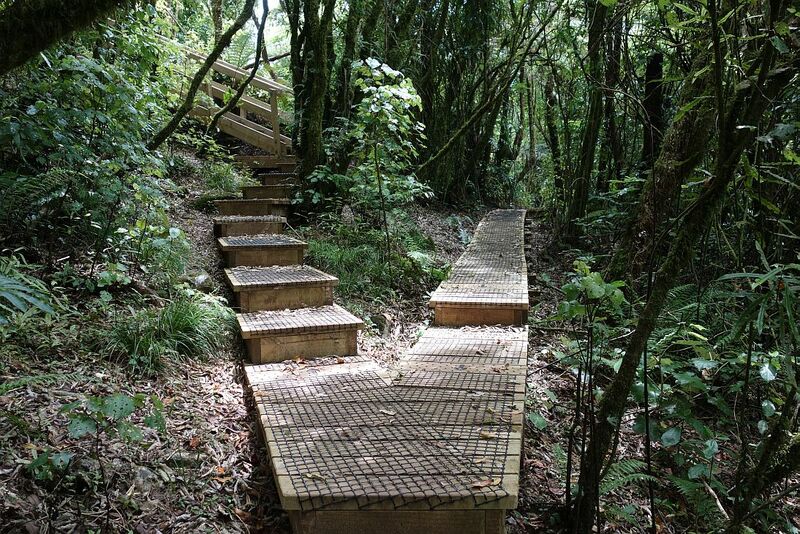 The whole track should be classified as a walking track, not as a tramping track as on the DoC site. The first half of the track only has intermittent shade, with the last half under tree cover. Looking from Kakepuku Rd to the carpark, with the mountain in the background. From the carpark the track has regenerating native trees on both sides, passing through farmland. Looking from the track down along the row of trees along the first part of the track. There are several benches and resting places alongside the track. 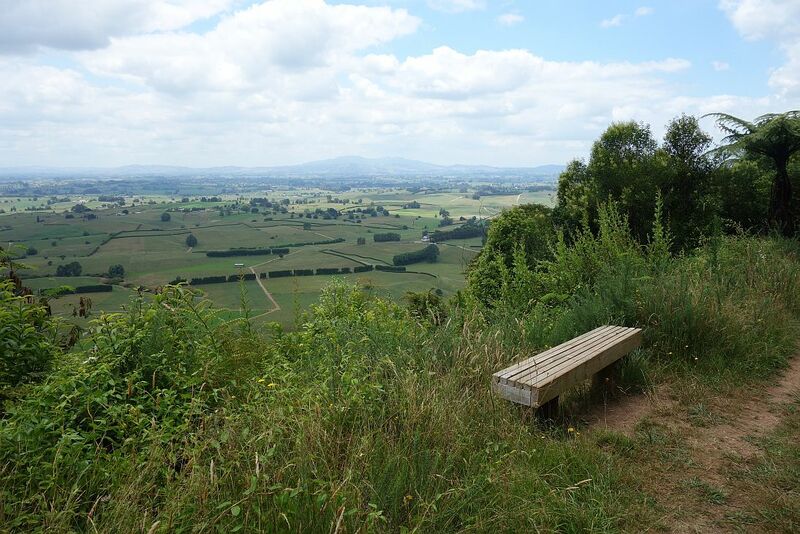 Here looking towards Mt Pirongia. There is a carved archway over the track near the summit, as you enter the original pa site. 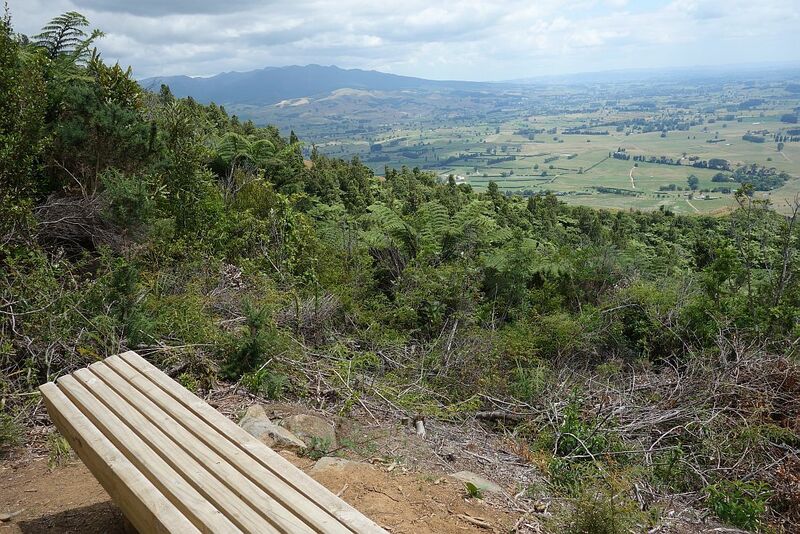 Because of the cultural significance of the site there is a walkway, and visitors are asked to stay on the boardwalk all the way around the summit. The boardwalk forms a one-way loop around the summit. Keep left. The lookout tower and trig station at the summit. 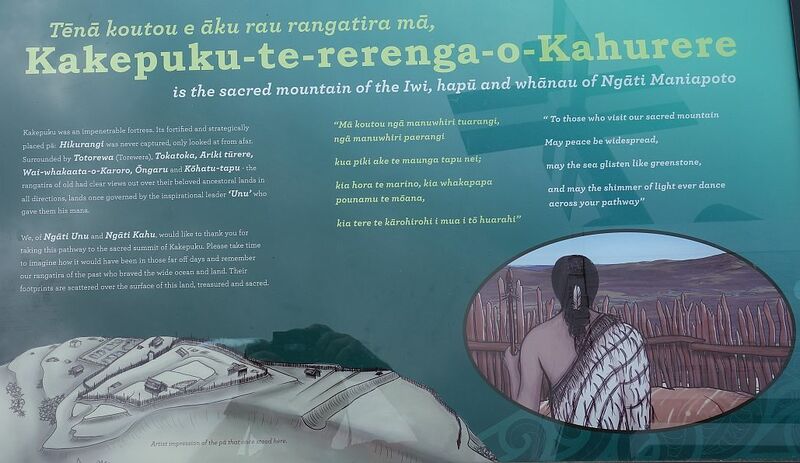 Panels on the lookout platform provide information about the mountain and its surroundings and history. The summit is a historical pa site. 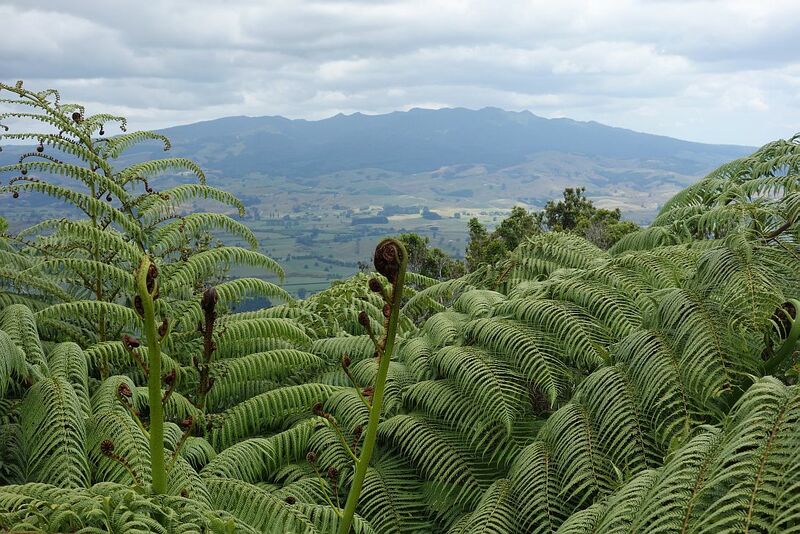 Looking from the tower towards Mt Pirongia. The track was walked on January 16, 2015. The GPS tracklog shows the route followed by the new track to the summit. The other tracks shown are not maintained, are difficult to find, and are probably overgrown and difficult to walk. Total distance about 7.5 km, total time about 2 hours, including 10 mintues at the summit. 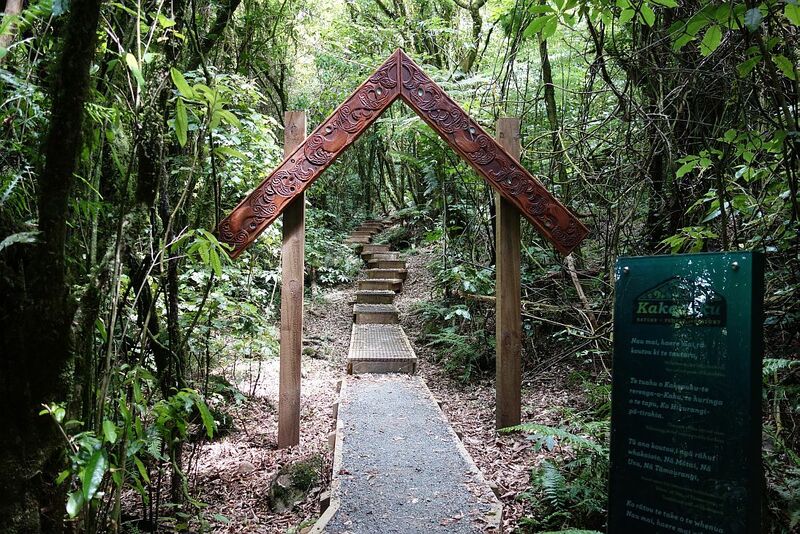 This entry was posted in Walks and tagged Kakepuku, Te Awamutu on 2015-01-16 by nzartig.